The Dreamers Japanese B2 size movie poster, originally uploaded by japanese-movie-posters. 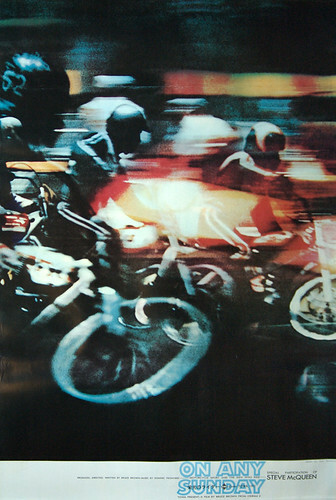 A beautiful poster that is quite scarce, and on nice matte stock as well. Can’t beat that. As time goes on (released in ’03), these small releases get very very tough to find. The strong yen and dying poster shops don’t help matters either. The supply of Japanese posters from dealers and collectors continues to dry up. Where can I find Japanese movie posters for sale? Posterdemic of course! 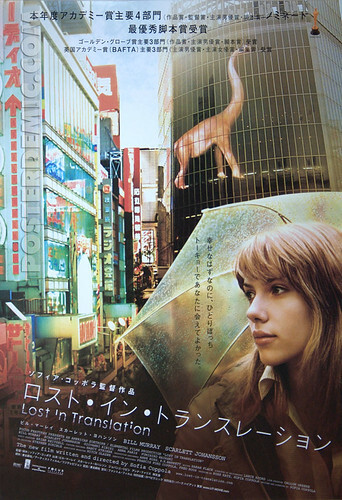 Lost in Translation B2 Japanese movie poster, originally uploaded by japanese-movie-posters. Another one I have been after for quite a long time — the elusive Lost in Translation Japanese B2. Yes, I would love a B1, but this B2 is pretty rare indeed. I’ve only seen a handful. This one is excellent — no folds, not even any ‘waves’ as we so often see in B2’s, and on thick matte stock. Lovely. Kill Bill 2 Pink Japanese B1 movie poster, originally uploaded by japanese-movie-posters. Back from vacation and my family emergency… I thought I’d start back with an earthshattering post. After looking for this poster for literally years, I finally got it. Anyone who knows Kill Bill will appreciate how difficult it is to find one of these… i.e., nearly impossible. This was the only one available and I don’t expect to find another for a long long time, if ever. I also have the Darryl Hannah version from the same set of four and will post that one later. More to come, I have many other nice pieces that came in over the last few weeks. Zero Woman: Red Handcuffs 2 panel (tatekan) Japanese movie poster, originally uploaded by japanese-movie-posters. Very rare Japanese 2 panel movie poster for Miki Sugimoto’s Zero Woman: Red Handcuffs (Zeroka no onna: Akai wappa) — actually the only one of these I have ever seen. I have only seen the B2 for this perhaps twice. I’ve had this tatekan for a while but it has been tucked away. I’m thinking about putting it on linen, but haven’t decided yet. I’m accepting offers on this; for the ultimate Pink Violence collector. On Any Sunday Japanese B1 movie poster, originally uploaded by japanese-movie-posters. An extremely rare poster, featuring art seen on no other version I am aware of and in B1 size. I haven’t seen this art on any B2 either. This is the only one I have seen and I don’t expect to see another. Not for sale except for a very unreasonable offer. amelie-B2-japanese-poster, originally uploaded by japanese-movie-posters. Anyway, I did have time to snap a pic, so you can see what the original generally looks like. As you probably are aware, this poster has been counterfeited and repro’ed many times over, so you have to know what to look for. It’s a classic and it seems a lot of people want it. Time to work on getting another one. Maybe this time I’ll have an opportunity to post it for sale on the site! Or maybe not. I am happy to report that I have a very welcome addition coming in: a Japanese B2 for Endless Summer, and it looks to be in fantastic condition. It took me 5 years +/- to find this one after passing on one with a big tear on eBay about 5 years ago. Looks like with some patience that was the right decision. I have seen a grand total of three of these ever. Here’s a bad picture, I’ll post another once it arrives.